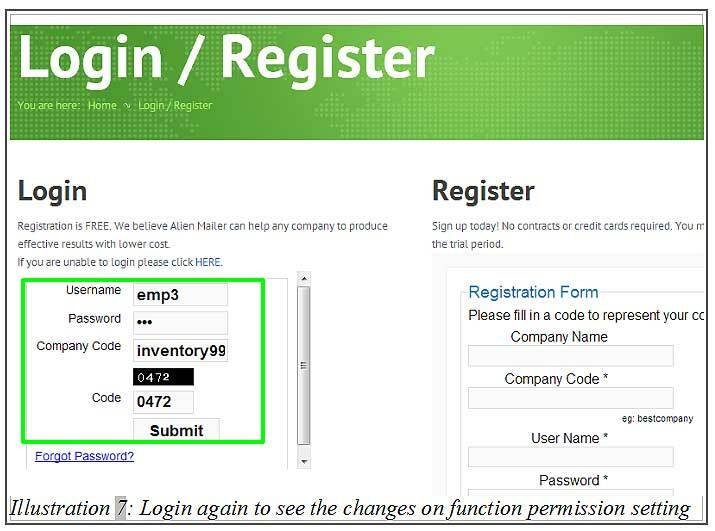 BMO Online Inventory Malaysia includes very useful tool whereby you can define access permissions of your staff accounts within the system. Different users may carry different set of work responsibilities and some information maybe limited to certain group of users such as the management team only. So the Permission Setting Tool is created to provide control on that problem. 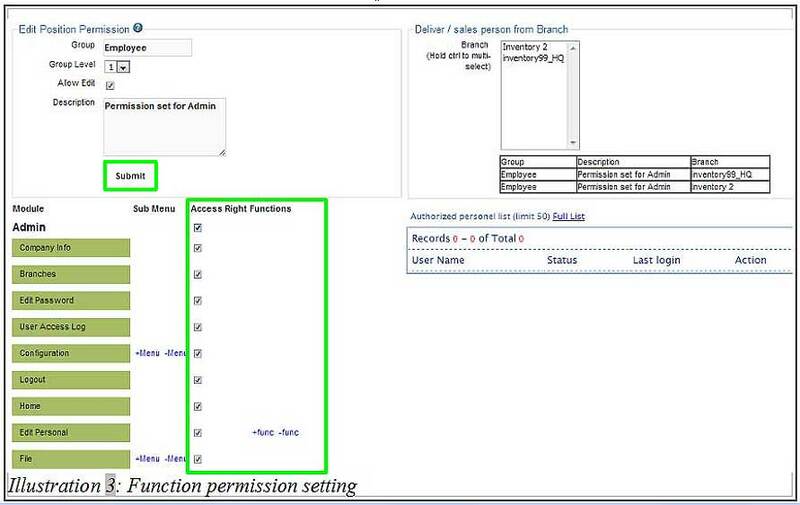 In this tutorial, we will guide you on how to set function permission setting in BMO Online Inventory Malaysia. 1. 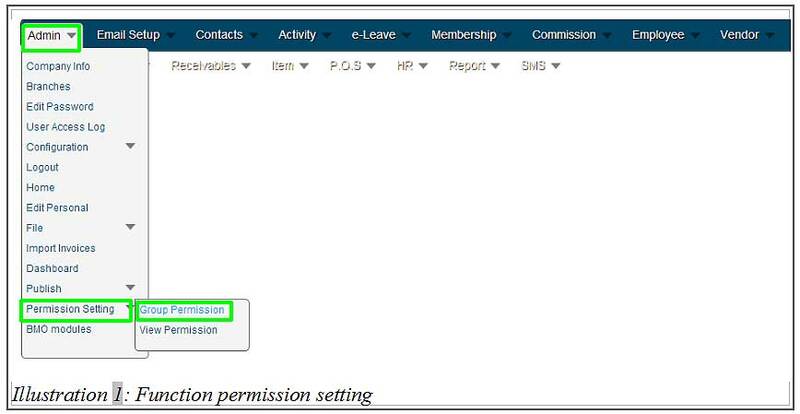 Firstly, go to Admin > Permission Setting > Group Permission to create and set the function permission. 2. 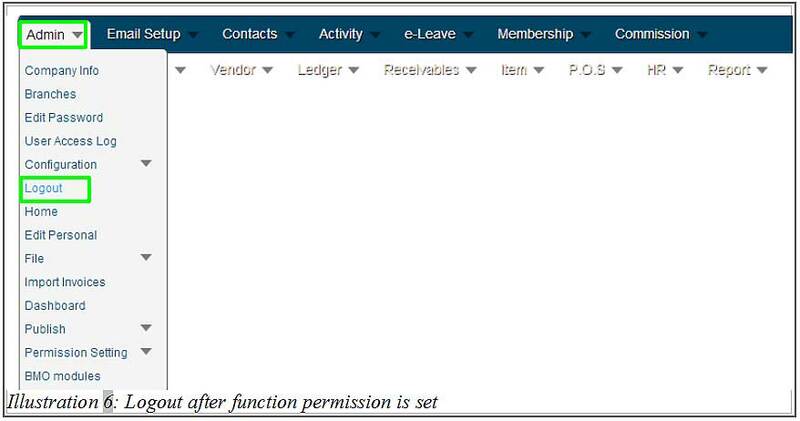 In this page, click on Edit to edit the function permission of a group. 3. Under Module, select and check the module boxes in Access Right Functions column to grant the group access rights to those modules. Click on Submit button to save the changes. 4. After that, a notification message will appear to inform you that the information has been edited successfully. Click OK to dismiss the message. 5. Since you are now logged in as an admin, log out and sign in again as an employee to check on the module display differences. 6. When the permission is limited, the menu appearance on the navigation bar is limited too. For example, you will realise that there is no Admin menu tab in the navigation bar. This is because you do not allow employees to have the same rights as the admin.